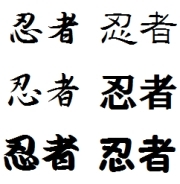 I have described about "Shikomizue (仕込み杖) " as a Ninja's secret weapon in a previous entry but shikomizue has many other variations in look and use which I will elaborate on. Firstly, there was a hidden weapon named "Shikomitessen", its shape was that of a folding fan, "Tessen (鉄扇) " means a weapon camouflaged as a fan. There were two types of tessen. One with outer two ribs made of iron, and another	with plates made from iron that are connected by a rope. Tessen were used mainly by military commanders in the Warring States period for both cooling the body and self-defence. Shikomi-tessen has plates that are a cover and inside of it is a blade. Of course it was used for assassination by means of putting a target off their guard. The inside of shikomizue varied. For instance, it could be a weight with a chain. This weapon was able to be used when facing a sword attack and could be used like a Kusarigama (鎖鎌). Ninjas sometimes prepared a spearhead inside of the cane so they could use it as a spear. Ninjas also hid blades on the inside of "Shakujo". As described many times, ninjas often disguised themselves as "Yamabushi (山伏) " . Shakujo was the cane which yamabushi carried with them and as yamabushi was a kind of a priest, it was easy for a ninja disguised as yamabushi to remain inconspicuous and approach enemies without being noticed. The most famous Shikomizue User "Zatoichi"
At a glance, shikomizue seems like very a specialized weapon but we can find the master of shikomizue in films such as" Zatoichi (座頭市) ", starring Katsu, Shintaro (勝 新太郎) or Kitano, Takeshi (北野 武) . 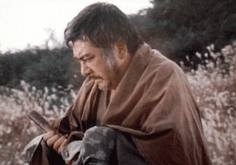 In the movie, Zatoichi is a blind vagabond, who helps the weak and fights the strong. 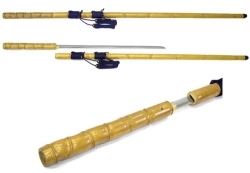 The weapon Zatoichi used in the stories was was a shikomizue. After the success of Katoichi, other similar films were produced such as “Blind fury”. Because of the properties of this weapon, movie makers succeeded in making movie watchers think it was possible for even the blind to utilize shikomizue. There are a lot of ninja weapons that have been used in fictional works today and shikomizue is certainly one of them.